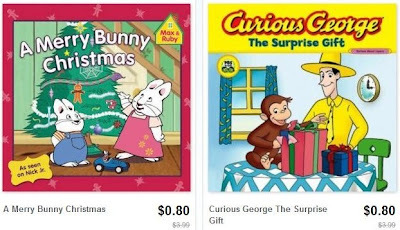 Kids Books from $0.80 + Possible FREE Shipping! Wow, hurry over to Totsy and check out their "Book Blowout" sale to find a huge selection of kids books for as low as $0.80! Books feature popular character as well as classic stories and more, and are suitable for infants/toddlers up to big kids. To make this deal even better, you'll get free shipping if this is your first order within 30 days of creating your account!